We have created a fun board game for students to play based on the curriculum for the gr.10 Civics (Open) course. 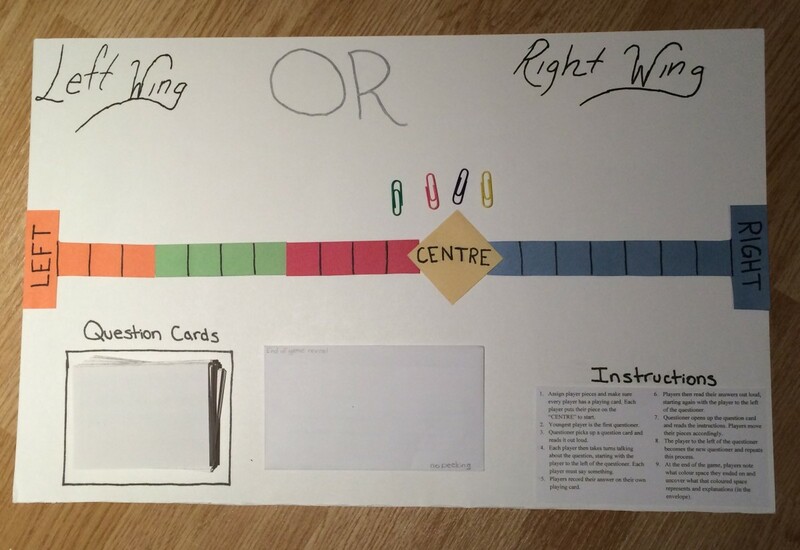 This board game teaches students the difference between left wing and right wing by examining different opinions and answers to several key political issues (education, minimum wage, war, etc.) and teaches them where the Canadian Federal Parties (NDP, Liberal, Green Party, and Conservatives) fall on the spectrum. Vacca, R. T., Vacca, J. L., & Mraz, M. (2014). Content Area Reading: Literacy and Learning Across the Curriculum, 11th Edition. New York: Pearson.